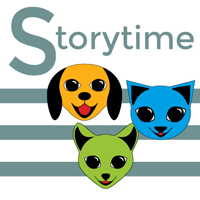 Share books, songs, and rhymes with your children at this storytime designed to promote school readiness in 2 to 5 year olds. Librarians, caregivers, and children will sing, talk, read, write, and play together to build early literacy skills. Siblings are also welcome!